On Monday we had another great game, this time between Germany and Portugal. Obviously we expected our new hero would show up in this game. On one side we had a team with basically Ronaldo & everybody else, while the other side was a strong team-team, with no particular individual standing out. After only 20 minutes however one guy started to pull its weight, Thomas Müller. In the end Müller scored three of four the goals and helping one Portuguese player get a red card as well. Thomas Müller has a very strong Metal and Water structure, which mainly affects his authority. He is a person with strong leadership qualities and is able to gain control over matters and people. This can very distinctly be seen on the field, where he attacks with great confidence and authority. His creativity is also strong, but not as a strong as in the players we checked a few days ago. It seems that his main qualities of attack are due to him being a Snake person. Snakes usually look like they don’t actually do much, but when the key moment arrives, one realises they are very well prepared indeed, for a snake bite. Same with Thomas Müller, he is just hanging around the 16 meters, rarely doing much, but when the balls comes to his area, he is the first to react fast and efficiently, often collecting those weirdly bounced balls and successfully putting them behind the line. That is typical Snake behaviour, invisible but highly effective. We already mentioned before that Yang Fire people can be rather persuasive in achieving their goals, literally in this case. They also enjoy all the attention which comes with it. It’s hard to imagine a Yang Fire person working quietly as a defender, out of the limelight, unless they are in the leadership role, then it might work quite well. Yang Fire is like the sun. They want to be big and bright, want people to see them, so what can be better then to score a goal within the toughest football competition, and then doing it three times! If Germany manages to go far in this tournament, Thomas Müller is one of the most likely candidates for best player of the tournament. On the fourth day of the World Cup we finally had the chance to see the current best football player in the world, Lionel Messi. He has been accused of not playing as well in his national team as he plays in Barcelona, therefore for him the World Cup games provide a chance to prove them all wrong, and it seems he will do anything to bring Argentina to the throne. He started off well by scoring a goal last night against Bosnia and Herzegovina and leading his team to the first victory. Lionel Messi is a Yang Wood person, born in the Horse month, which represents the mid summer season. The Fire element is very dominant in his chart, therefore his creativity profile is very strong. He shares this creativity pattern with Neymar, van Persie and Balotelli, all of them showing very strong creativity profiles in their charts. Yang Wood people are known for their need for a stable environment. They do not like to change surroundings, just like a big tree does not like to be uprooted to be planted elsewhere. Those are more the qualities of Yin Wood people, who react like pot plants, shrubs or grass. Lionel Messi confirmed several times that his intention is to play in Barcelona until the end of his career. The thought of changing surroundings can be rather scary for Yang Woods. As long as Messi is paid well, he will not seek another team, even if Barcelona is not as successful as it used to be. Messi’s creativity regarding strategy and planning is highly developed. He has a very strong feeling for the field and the players, knowing exactly how to bring the ball across to produce the best possible result. This specific ability is combined with introvert characteristics. He comes across as a shy person who dislikes publicity. Being a Rabbit also adds to this picture. Rabbits often behave like scientists, buried in some laboratory, working on a project and not seeking any company, unless really necessary. He is also completely lacking the metal element, which in his case means having no interest in power or image. This distinguishes him from his competition for the best player in the world, Cristiano Ronaldo, who enjoys publicity very much. His money luck is also very well balanced, playing wonderfully with his creativity profile. It’s a pure money machine with very little obstacles in his chart. Altogether a very simple chart, ruled mostly by two elements, wood and fire, these kind of charts often produce the most brilliant personalities. It gives them simplicity and the ability to focus on one thing only without being distracted with too many options. All Messi wants is to play football and be the best at it. Mario Balotelli is a Yin Earth person, born in the Monkey month, which represents the beginning of the autumn season, when the Metal element is on the increase. He has a strong Metal structure in his chart, between Rooster and Monkey, makes him a creative person, really interesting as our previous players of the day, Neymar and van Persie, were also very strong in their creativity profile. Obviously this is something common among Athletes. Many of you are probably wondering why he is so eccentric and rebellious? The answer lies in his weak Yang Wood properties, which in his particular case represent authority. Therefore he is sometimes unable to control himself with even his coaches and managers have trouble putting him straight. But nobody can deny his creativity, which is dominating his chart. Therefore most coaches will swallow their pride and adjust themselves. In the video bellow you will find out all the crazy things he did, many of them proving his big issue with authority, but also showing how he really likes to support people, help them grow, one of the main qualities of a Yin Earth person. His combination of zodiac animals is also interesting. Horse and Monkey are very energetic and need constant physical and mental stimulation. Rooster (mark his hair style!) is very showy, which really sums up everything. On a second day of the World Cup we have our second hero, Robin van Persie from Netherlands. It was a tough choice because Arjen Robben had a great game as well yesterday, hopefully he will have a chance to win player of the day during this tournament as well. On Friday Netherlands was seeking revenge for a defeat in a World Cup final, 4 years ago in South Africa, when Spain took the title in rather dominating style. This time situation was bit different. Spain took the lead but very soon van Persie scored a fantastic header, bringing Netherlands back into the game. In second half they completely dismantled the mighty Spain with four more goals, including one more by van Persie. Robin van Persie is a Yang Fire person, born in a Goat month, which represents end of the summer, therefore Yang Fire is very strong in his chart. Earth and Water elements are also very strong, which brings to him creativity and authority, which is clearly reflected by his leadership role in his national team. Wood element is also very strong in the chart, bringing in his particular case ability to analyze and approach situations in a unique ways. Yin Earth is generally not very welcomed element in Yang Fire chart, but here is kept under control by his strong wood, and not to forget that this year is Yang Wood, therefore Yin Earth is unable to damage his chart flow. He completely lacks Metal element (although we can’t be 100% sure without birth time) but as far we can see his chart doesn’t need it at all, the environment is set in such way that there is no need for Metal. Yang Fire people are great leaders, but on their own they can’t do much, they need a team of people to make things happened. Yang Fire is like a sun, it provides warmth to the planets around, this way it fulfills its purpose, but without planets to reflect light, sun is alone in the darkness. Yang Fire people, once they make up their mind, can become extremely focused on what they do, allowing very little distraction. Once they are on the right path, they are almost impossible to stop (for example Steve Jobs). The downside is when they are on the wrong path, it gets really hard to change (for example Hitler). Van Persie’s chart have all the qualities of a great leader and he is definitely showing that on the field. Yesterday Neymar was definitely the player of the day. He scored two goals while his team, Brazil, successfully overcame the first opponent, Croatia, towards their ultimate goal, winning the World Cup. Neymar is a Yin Metal person with a strong presence of water and wood element, which in his particular case brings creativity and wealth. Yin Metals are known by their attention seeking nature, a spotlight is their natural environment where they feel the best. He is a so called “clean” Yin Metal, thoroughly polished by the water element, which makes him shine and very popular. Creativity is definitely the first word which comes to us while looking into Neymar’s chart. Yang Water also gives him ability to find quick solutions on the field, like the water which always finds the way to go through, even if it’s just a little crack, but big enough to come out to the other end. Considering that earth element is rather weak in his chart, this water is practically unstoppable. He is also a bit of a rebel, can’t really be controlled, the best coach can do is to let him do his thing and let the team support him, which is exactly the situation in Brazilian team. Altogether, rather amazing chart, with his creativity feeding his wealth, he is ought to be extremely successful. We can see some interesting facts by looking at Edward Snowden‘s chart, a guy who worked for NSA and now is in exile after leaking secret information about American and British secret surveillance plans. First of all, he is a Yang Metal person, known for their obsession with justice and always fighting for common people. No wonder he took this hard task to go into battle against USA government. But things are not that simple and we can see that his actions are driven mostly by imbalance in his chart. 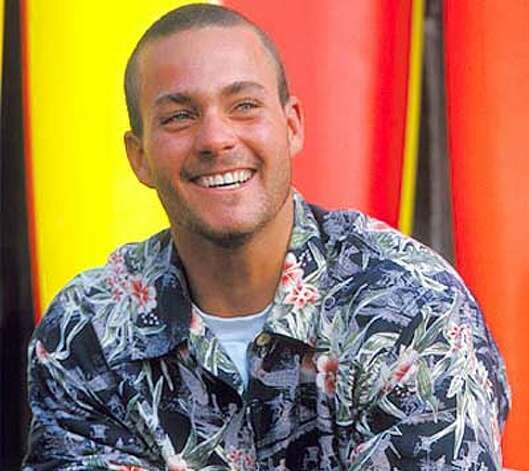 Jay Moriarity is one of the most famous surfers in the world. He died very young, and was most famous for surfing one of the biggest waves on earth, Maverick. There is a movie about his life called Chasing Mavericks, it’s very inspiring story. His chart is incredibly interesting, a Yin Earth without any drop of water and no wood, all together missing 6 elements. These kind of charts are very special but also very challenging. People with only few elements in their chart are very simple in their goals and aspirations. He had only one goal, to surf the biggest wave on earth. Some elements complement each other very well. one of the most dazzling relationships definitely being Yang Fire and Yin Metal. Yang Fire represents the sun while Yin Metal represents any kind of precious jewellery. The Sun loves to shine on reflecting objects and provide energy whilst precious metals love to be shone on and sparkle and be bright and beautiful. Whenever a Yin Metal person has a lot of Yang Fire element or, the other way around, a Yang Fire person has a lot of Yin Metal, this person will most probably be famous or simply influential. 12 Chinese Zodiacs in your company – Are your employees positioned correctly? If you are a business owner you will need to find the best way to decide quickly for which role or job each one of your employees is most suited. Usually we would rely on feelings, experience or recommendation, any misjudgment usually results in losses and frustration. However Chinese astrology can provide reliable and clear insights into potentials and possibilities. Why Luka Modric suddenly becomes so valuable? An article in Marca elaborates on how come Luka Modric suddenly is becoming a hero of Real Madrid while just few weeks ago he was labeled as last year’s biggest flop amongst football transfers? Luka Modric is a Yin Metal person without any fire element in his birth chart. Normally a Yin Metal with this kind of element condition, especially when lacking Yang Fire, wouldn’t be able to shine, wouldn’t have any leadership skills and would struggle with any career altogether.